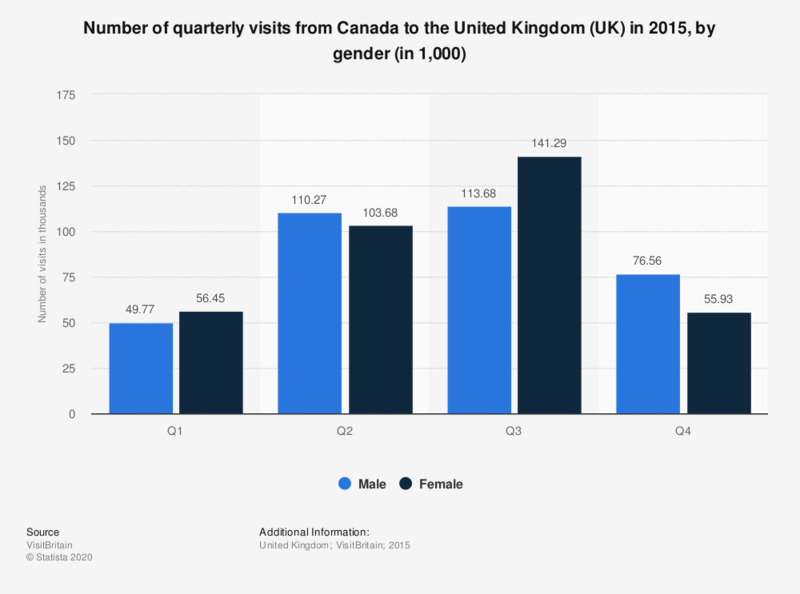 This statistic shows the number of quarterly inbound visits from Canada to the United Kingdom (UK) in 2015, by gender. The number of inbound visits by women increased from almost 56.5 thousand between January and March to over 141 thousand between July and September 2015. Exact date of publication not given. Source notes figures are provisional.